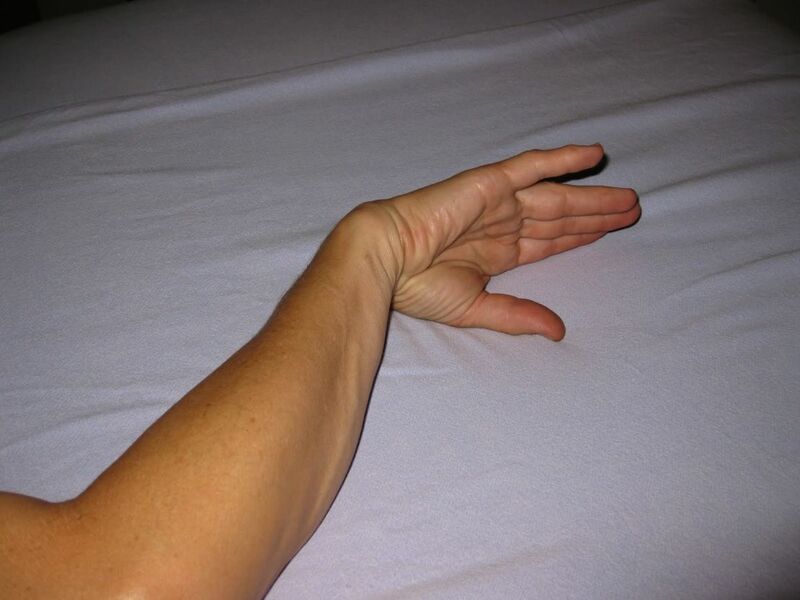 Carpal Tunnel Stretch: With elbow supported on a bed or massage table, pretend you are trying to make your arm longer, then gently bring your hand into extension at the wrist. 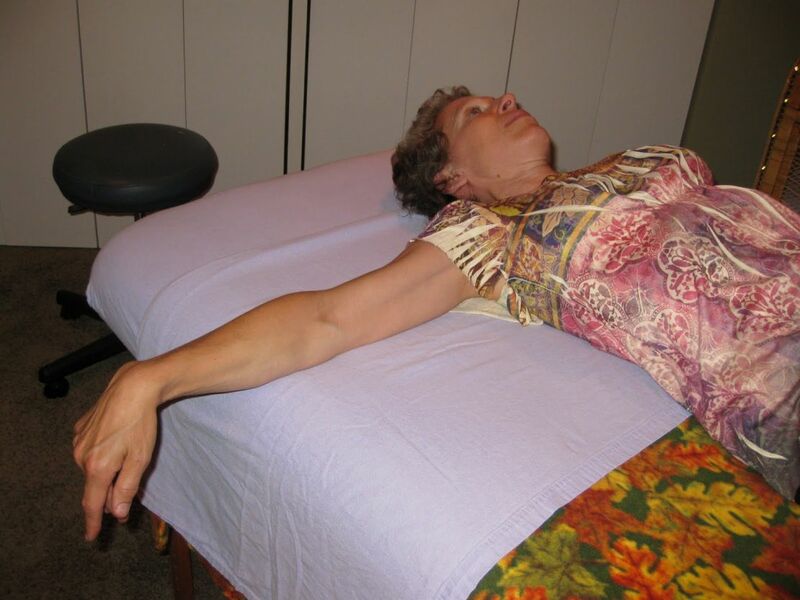 Carpal Tunnel Reverse Stretch: With elbow supported on a bed or massage table, pretend you are trying to make your arm longer, then gently internally rotate your forearm at the elbow and bring your hand into flexion at the wrist. Neck Side-Bending Stretch: With hands clasped together behind your back, gently side-bend your neck without rotating it (nose pointed straight ahead) at hold at the first barrier of resistance. 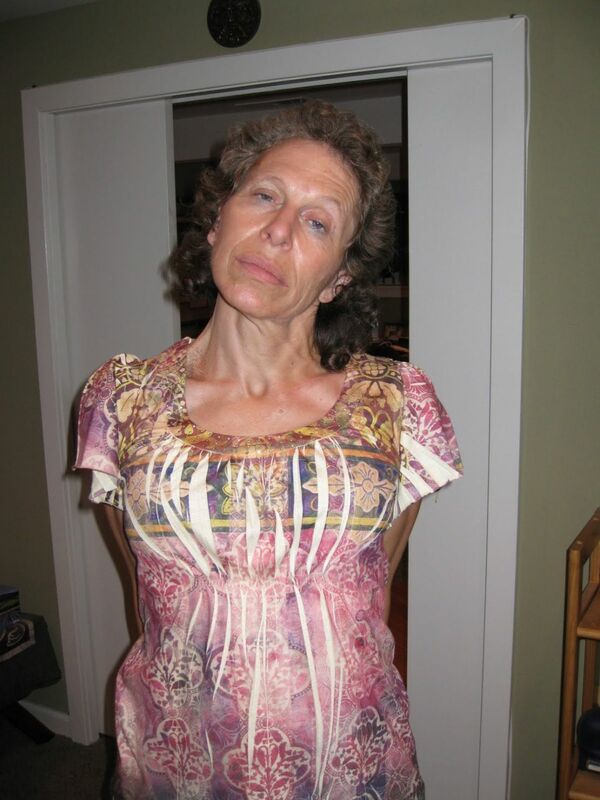 Position 1: Clasp hands directly behind your back for neck side-bending stretch. 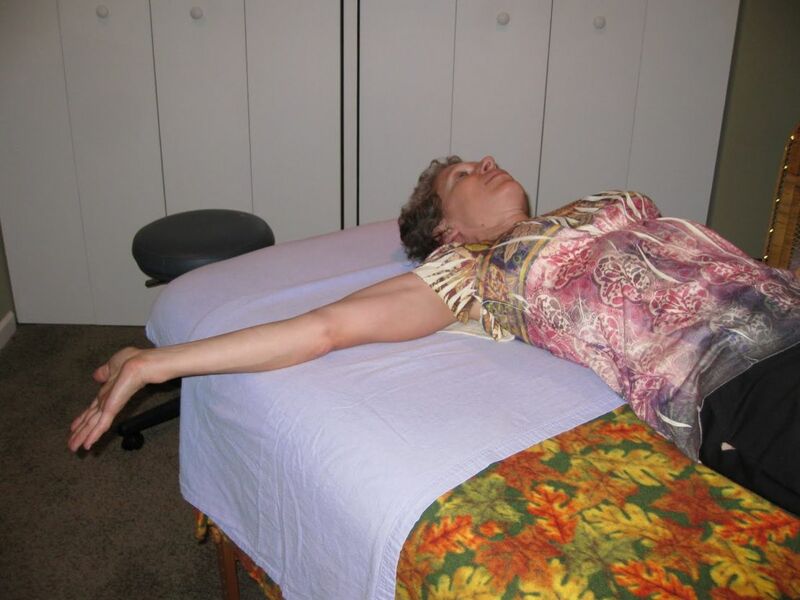 Position 2: Clasp hands behind back to opposite side of neck being stretched into side-bending. Finger Pull: Clasp finger and gently pull directly out to first barrier of resistance. Be aware of sensations travelling beyond the finger into hand, arm, shoulder, and possibly even the neck. 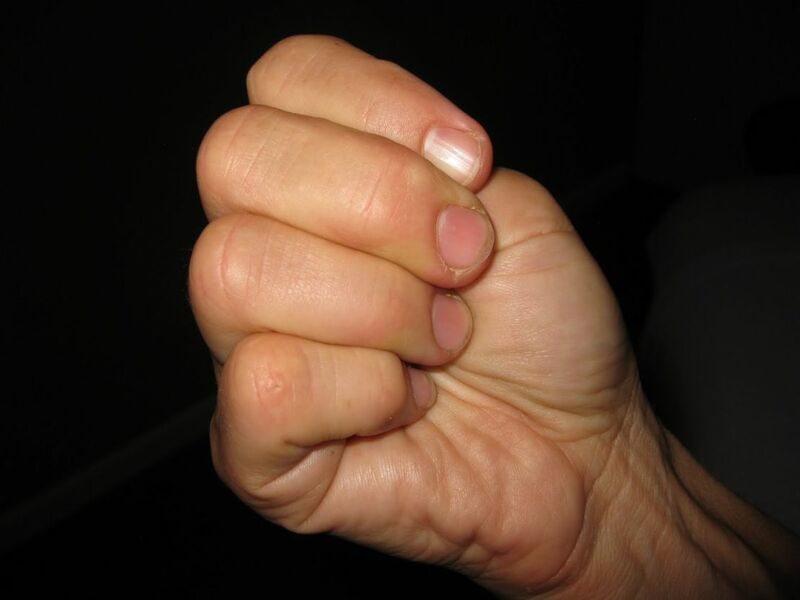 Finger Twist: Twist finger to first barrier of resistance. 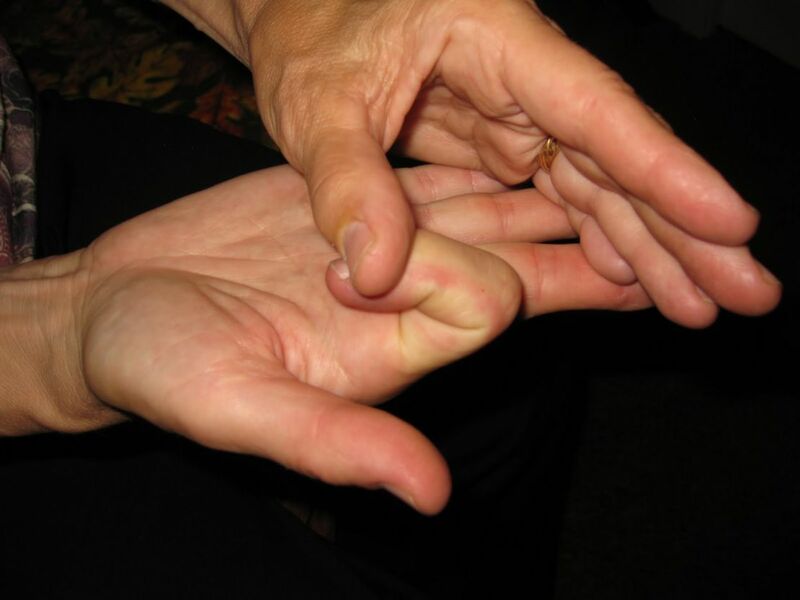 Allow awareness to be diffuse so as to feel how this might effect other fingers in your hand, and farther up your arm. This can also be done in conjunction with finger pull (i.e., working 2 barriers simultaneously). 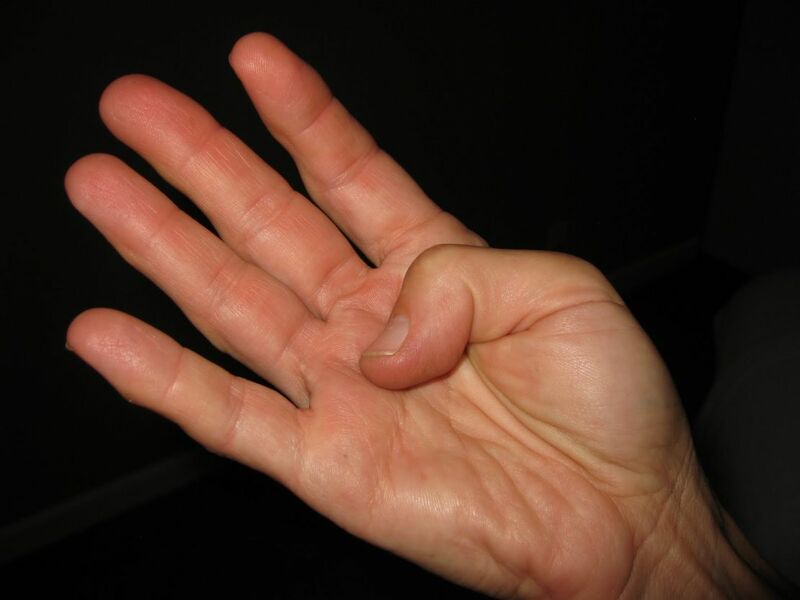 Web Space Compression: Compress into the web space between each fingers to first barrier of resistance. 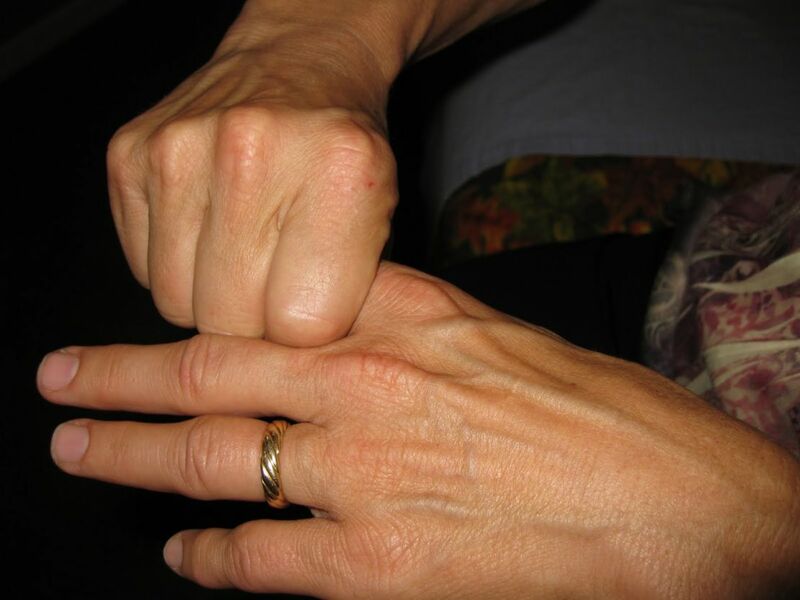 Web Space Spread: Stretch the web space between each two consecutive fingers as shown to first barrier of resistance. Thumb Stretch Part 1: Curl thumb inward as shown. Thumb Stretch Part 2: Curl fingers around thumb as shown. Thumb Stretch Part 3: With thumb curl under and fingers curled around thumb, now bring wrist gently into flexion to first barrier of resistance and hold. 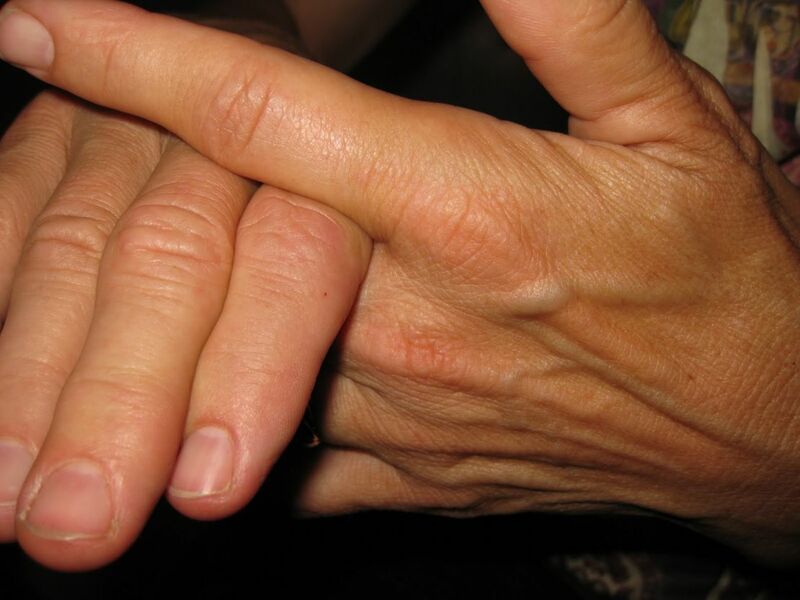 Finger Flexion Stretch: Holding other fingers straight with opposite hand, curl one finger at a time into the flexion first barrier of resistance and hold. Thumb Stretch #2: Internally rotate forearm over table so that thumb is face down and curled under hand as shown. 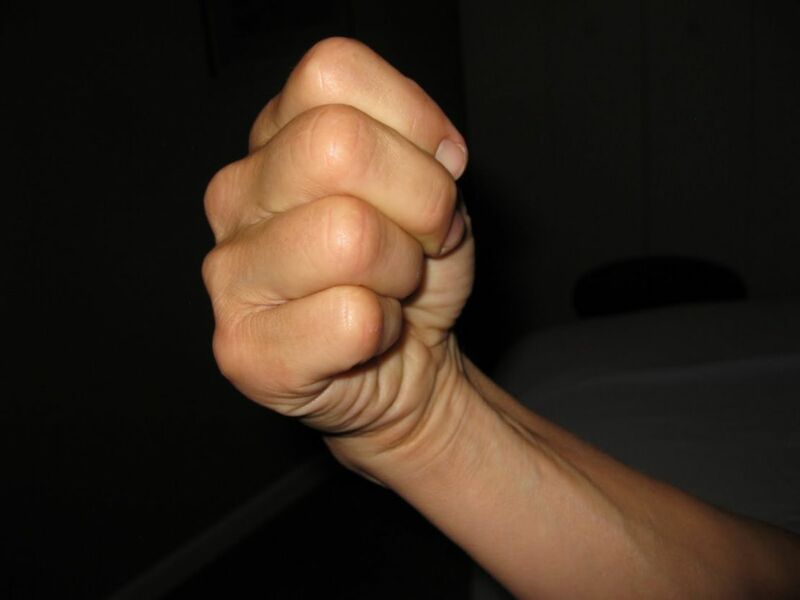 Now slowly bring the hand closer to your body by flexing at elbow. Pancaking Hand Top to Bottom: Compress on each hand to first barrier of resistance and hold. Side-to-Side Hand Compression: Compress hand as shown to first barrier of resistance and hold. 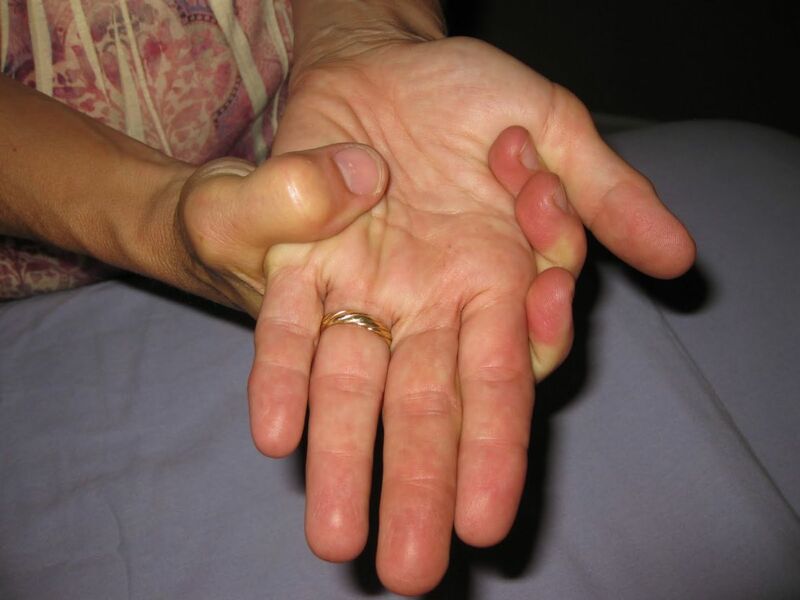 Working trigger finger nodules: Palpate hand to identify nodules or tight areas. Once identified, apply pressure to first barrier of resistance and hold until heat and melting sensation occurs.